From dairy company MengNiu's "Moon Milk" to "Thanks for using QQ," most Chinese audiences that have seen the latest sci-fi sequel Independence Day: Resurgence probably laughed out loud at some of the more obvious Chinese brand product placement in the film. This is not the first time filmgoers in China have cringed at the blatant placement of Chinese products and stars appearing in Hollywood blockbusters. Two years ago, sci-fi action flick Transformers: Age of Extinction left a negative impression on audiences for frequent showing off Chinese brands and featuring Chinese characters that had little impact on the plot. In the end, these obvious attempts to cater to the Chinese market and fawn over audiences in China seem to have actually had the opposite effect. With its booming economy, China has been playing an increasingly more important role in global issues while Chinese companies have been expanding their reach around the world. 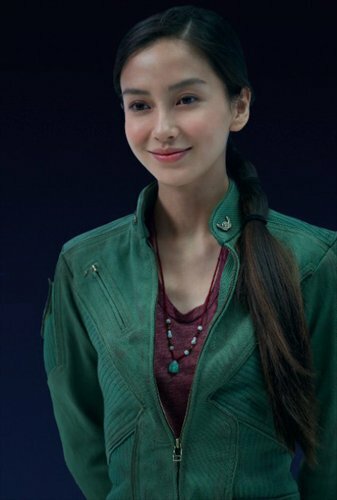 As such it really shouldn't feel unreasonable to see a Chinese fighter pilot (played by actress Angelababy) help save the world together with US and European heroes, or Chinese brands being used by characters in the films. But the reality is that many of these scenes are unacceptable to Chinese audiences, who regard them as nothing but a poor joke on the Internet. Take the recent Resurgence for example. It's become a popular joke among Chinese netizens that the Moon Milk that appeared in the film was the true hero of the film as it gave humans in the film the energy they needed to defeat the aliens. "When getting revenge on evil aliens, everyone should take two boxes of MengNiu Moon Milk with them," Sina Weibo user Hua Yincheng posted. 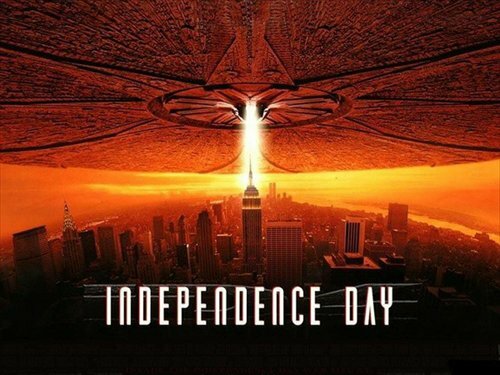 Independence Day is a classic film in the sci-fi genre, as such anticipation exploded among fans when news that a sequel was coming out that would be directed by Roland Emmerich, the director of the original film. However, while many who saw the new film felt the visual effects were good, both the film's and the director's brands were stained in Chinese audiences' eyes due to the bad impression left by the Chinese product placement. And Resurgence is not the worst case. More criticism has been aimed at Hollywood blockbusters that have come before, such as Transformers: Dark of the Moon (2011), Iron Man 3 (2013) and Transformers: Age of Extinction (2014). While the plots of these films are barely remembered now, how bad the Chinese elements that were inset into the films are talked about over and over again to this day. All these examples just strengthen the belief among Chinese audiences that "Hollywood filmmakers are only concerned about extracting more money from the Chinese market through lazy use of Chinese brands and stars." While Chinese product placement still comes across as stilted and may even negatively impact audience opinion about a film, but commercially speaking it seems to be working. According to Chen Changye, a veteran entertainment industry insider, product placement pretty much comes down to commercial deals between Chinese companies and Hollywood. "Chinese companies are rich and uncompromising, while Hollywood is eager to get a return on their investment as quick as possible," Chen told the Global Times, adding that the North American market has remained almost stagnant in recent years, and therefore has no longer been able to fully support the creation of blockbusters. As for Chinese companies, they are all about taking aim at consumers at home and therefore even though they know that Chinese product placement in a Western film may come across as awkward, the shine that comes from appearing in some big name Hollywood blockbusters is worth it. According to a recent report from entertainment blogger Yule Zibenlun, after Yili Milk appeared in a Transformers film, sales increased by 40 percent compared to the same period the previous year. Meanwhile, Meters/bonwe, a domestic fashion brand, sold more than 1 million of a particular T-shirt in a summer season after it was worn by a character in Transformers, according to a report by huxiu.com. While films may never reach the point where they are just a collection of ads, product placement is also most likely not going to go anywhere anytime soon.